When my client, Karen Koehler and SKWC, suggested doing a photo shoot that involved a more unique look, I was excited! No more lining people up! She used Annie Leibovitz’s work in Vanity Fair as an example of the look she was going for. Photographing large groups of people can be a challenge, but I couldn’t wait. While the law firm is located in Seattle’s lower Queen Anne neighborhood, the shoot was at the Washington Athletic Club. The funny thing is that the photo was done as a general law firm portrait. 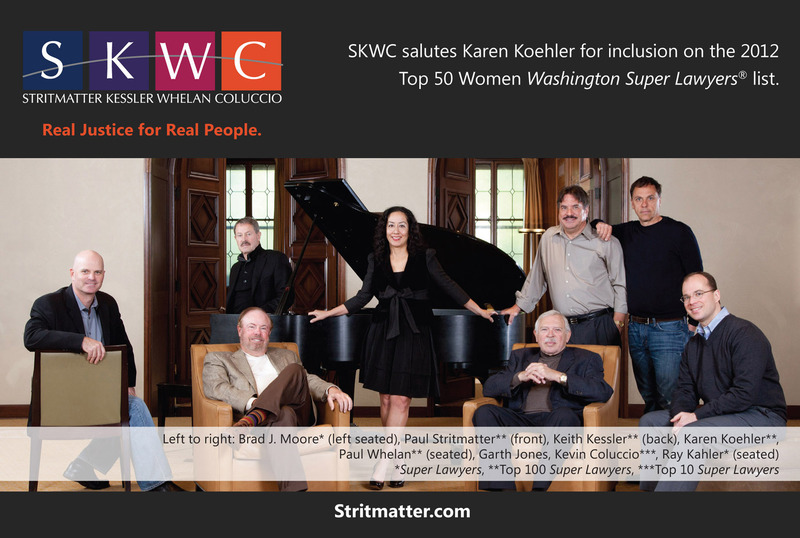 But with Karen’s placement in the photo, it just happened to work great for an advertisement honoring Karen for inclusion on the 2012 Top 50 Women Washington Super Lawyers list. Congratulations Karen Koehler!